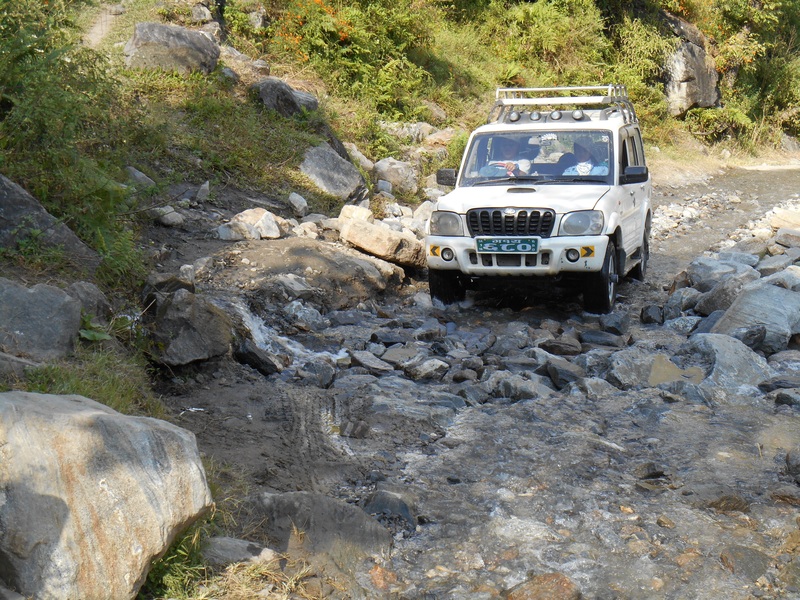 Here’s the jeep negotiating the washout after considerable road repair work by by-standers. Kim, Leave a post ASAP. The blizzard/avalanche incident in Annapurna is in the news. I read above about ‘Upper Mustang’ and Mustang has been mentioned in the news. Hey Karin, Tendi promises me the road to his village is much better. Also the road now goes to within about a five minute walk from his home.